The Expolink consortium is led by Alstom, and includes Acciona of Spain and Gülermak of Turkey. Thales will provide railway systems. The Route 2020 project is part of the emirate’s Dubai Plan 2021 for sustainable development and improved infrastructure and services. Construction of the line is scheduled to start this year, with opening planned for May 5 2020, ahead of the start of the Expo. The contract includes the supply of 50 trainsets, of which 15 are needed for the new line and 35 to increase capacity on the network. The new line will start at Nakheel Harbour & Tower station where there will be an interchange with the Red Line, and will then run for 15 km with elevated stations serving The Gardens, Discovery Gardens and Al Furjan, underground stations at Jumeirah Golf Estates and Dubai Investment Park and a terminus at the Expo site. The alignment will include 11·8 km of viaduct and 3·2 km of tunnel. 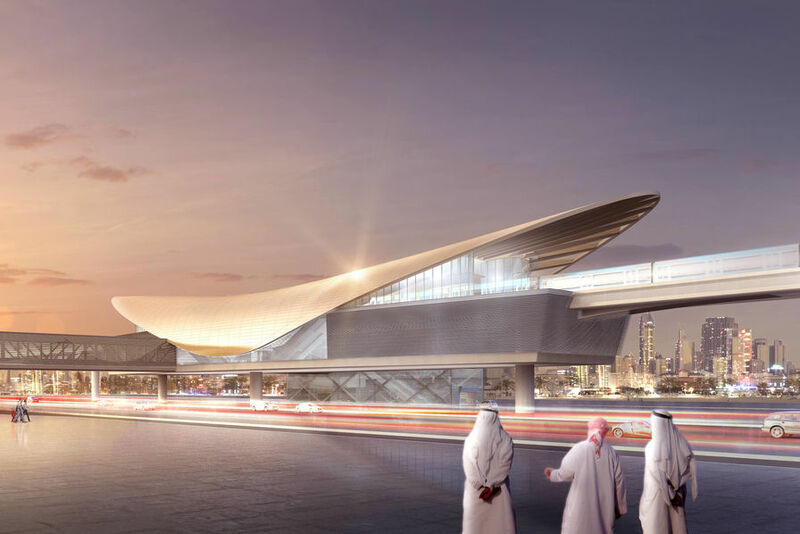 An extension of the line to Al Maktoum International Airport is planned for the future. The line will have a capacity of 23 000 passengers /direction/h. Initial ridership is estimated at 125 000 passengers/day, increasing to 275 000 passengers/day by 2030.